items in reach: fishing poles, dry bags etc. These patented clips can clip anywhere on the cockpit of your kayak or canoe (row- boat). No holes to drill. No tools needed. 2 second installation. Has 2 accessory clips 3/8'' on either side of the paddle clip to use to hold a small fishing rod or carabineer with items attached. 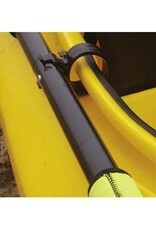 One Yakclips® is needed to hold a kayak paddle up to a 140 paddle. Paddles longer than that we recommend using 2 clips. You may also hang items from the bottom portion of the Yakclips®. We make a multi colored paddle leash to work in conjunction with the Yakclips®. 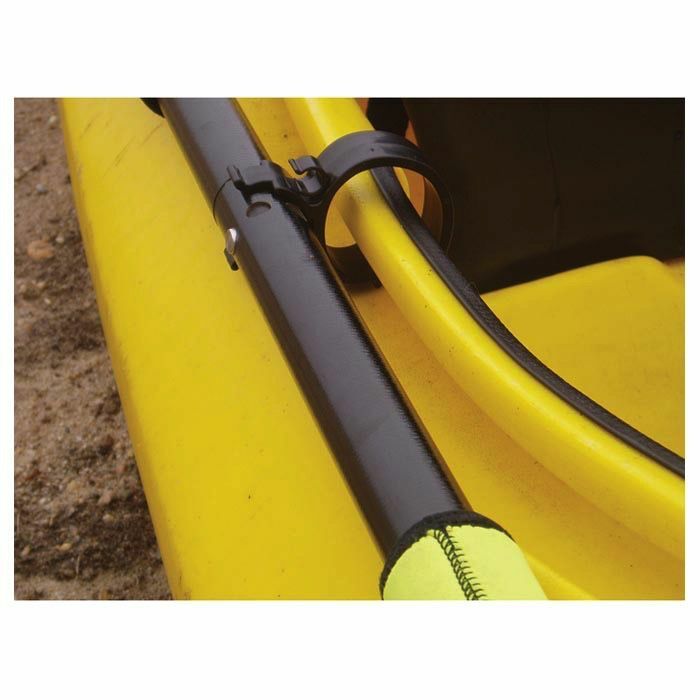 Placing the Yakclips® in the front of the kayak and securing the paddle make it easier to enter or exit the kayak. Use the Yakclips® to hold your paddle while you have a drink. Move the Yakclips® to the side of the cockpit to get your paddle out of the way to reel in that big fish!